By now, you should be convinced of turmeric’s amazing ability to fight off numerous carcinogenic properties, as study after study has distinctly showcased the spice’s cancer-fighting properties. But just in case you aren’t yet convinced, here is even more research on the subject. 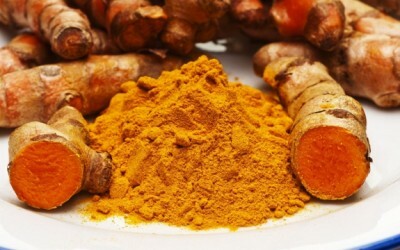 In a study conducted last year and published in the journal PLoS One, researchers from the University of Kansas‘ Cancer Center and Medical Center found that curcumin, the active ingredient in the spice turmeric, has the power to inhibit the growth of esophageal cancer cell lines. In the study, the researchers observed multiple effects sparked by curcumin. First, curcumin treatment was found to halt proliferation in esophageal cancer cell lines. This means that cancer cells can no longer multiply as a result of cell growth or cell division. Further, curcumin was found to trigger apoptosis of cancer cells – programmed cell death. Curcumin is a potent inhibitor of esophageal cancer growth that targets the Notch-1 activating γ-secretase complex proteins. These data suggest that Notch signaling inhibition is a novel mechanism of action for curcumin during therapeutic intervention in esophageal cancers. According to the study, esophageal cancer is the eighth most common incident globally, and the sixth most common to result in death. The American Cancer Society estimates that for 2013, we’ll be seeing about 17,990 new esophageal cancer cases and about 15,210 deaths from esophageal cancer. Needless to say, it’s great news to see natural substances being researched for the treatment and prevention of this disease instead of relying solely on less-than-optimal mainstream treatment such as chemo. “Esophageal adenocarcinoma, the major form of esophageal cancer in the U.S., is the most rapidly rising cancer in the western world. It is generally diagnosed at a late stage and has a poor prognosis, with a five-year survival of less than 10 percent,” ,” said a summary of the study’s results. Of course this is far from the first and last study showcasing curcumin’s ability to effectively combat cancer. One body of research carried out by researchers at the UCLA also found that curcumin exhibited these cancer-blocking properties. After 21 participants were given two 1,000 milligram tablets of curcumin, researchers observed 1 hour later that the curcumin was able to reduce the level of cancer-enhancing cytokines. Lastly, and most excitingly, a 2011 study published in the Journal of Nutritional Biochemistry found that curcumin reduced the size of a particular type of brain tumor by 81 percent. What’s more, no evidence of toxicity was found. This is the opposite of what would be seen with mainstream treatments like chemotherapy which has actually been shown to fuel cancer in some cases. This is just one more study proving that the benefits of turmeric should not be ignored. Sorry Mike, but as a Esophageal Cancer survivor and taker of Curcumin for years, that just ain't so. I totally believe that Curcumin is healthy but it didn't stop mine nor did it have any effect on it's advancement. I have a Non Hodgkin's Lymphoma and manage it naturally but the throat cancer, different horse altogether. I ended up going the "Conventional Route" and while the treatment is almost as bad as the disease, I'm on the green side of the grass. My friend who went the natural route didn't fare so well, RIP. I will say that there has to be a better way than chemo and radiation, but this ain't it, and they probably won't give us a better way. [ Smiles ] Thanks for more great news on health, Mike.